His face has graced our screens for decades and he's personally responsible for introducing Chinese food to the UK. 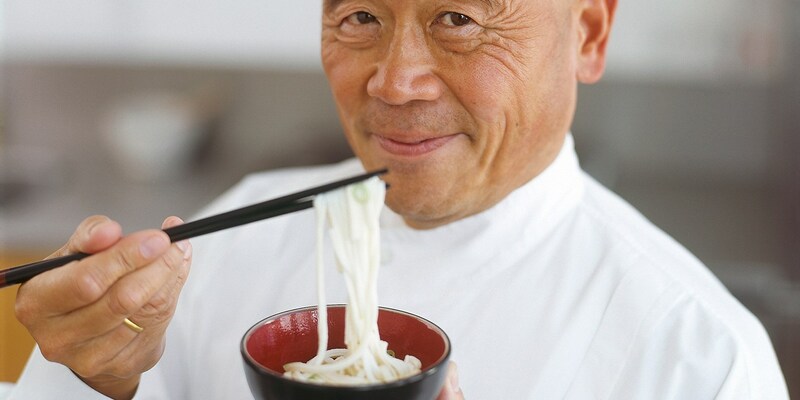 Learn more about Ken Hom's career and how he became the legend he is today. From a young boy raised in Chicago to one of the most recognised chefs in the UK, Ken Hom has certainly followed an unusual path to get to where he is today. Beloved by the British public and highly respected amongst his peers, his friendly demeanour makes him a regular favourite on TV. Ken’s first professional cooking job was in his uncle’s Chicago restaurant at the age of eleven. Later, when he was attending the University of California to study history of art, he started to teach Italian cooking lessons to help pay his fees. He eventually made the switch to Chinese cookery, and in 1977 began teaching at the California Culinary Academy in San Francisco. It wasn’t until 1982 that Ken experienced true success. He was discovered by the BBC who were looking for someone to front a Chinese cookery series – Ken auditioned, and was an instant hit. He went on to make and star in Ken Hom’s Chinese Cookery, an immensely successful TV show. The cookbook of the same name went on to sell 1.5 million copies, and is still popular today, making it one of the bestselling cookbooks the BBC ever produced. Since then, he has written over thirty other cookbooks, presented various Chinese cookery shows all over the world and even invented the flat-bottomed wok in the 1980s for the UK market, as rounded ones wouldn’t fit onto British hobs. In 2008 he won an honorary doctorate from Oxford Brookes University, and in 2009 he was awarded an OBE for services to the culinary arts by The Queen. He continues to appear on TV shows today at the age of sixty-six, and is an ambassador for Action Against Hunger. He also owns a Michelin-starred restaurant in Rio de Janeiro, Brazil, called Mee, and divides most of his time between Brazil, Paris and Thailand.